Located directly behind the Historic Jefferson County Courthouse at the intersection of N. George Street and Liberty Street. **CALLS ARE BEING MADE TO LOCAL RESIDENTS STATING THAT THEY ARE FROM THE SHERIFF'S OFFICE AND BECAUSE "YOU" DID NOT SHOW UP FOR JURY SERVICE "YOU" ARE REQUIRED TO PAY A LARGE SUM OF MONEY. THESE SCAMMERS ARE REQUESTING CREDIT CARD INFORMATION AS WELL AS OTHER PERSONAL INFORMATION. PLEASE DO NOT GIVE THEM YOUR CREDIT CARD OR PERSONAL INFORMATION!! The Clerk of the Circuit Court is a full-time elective office as authorized by Article 8, Section 9 of the West Virginia Constitution. Circuit Clerks are elected for a period of six years and their duties, responsibilities and compensation are set by statute. The Circuit Clerk is an officer within the Judicial System and is the registrar, recorder and custodian of all pleadings and documents in the Circuit and Family Courts. 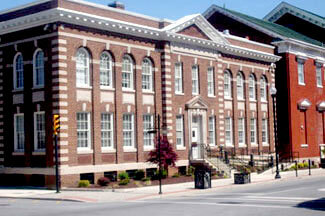 The Clerk is also responsible for the administration and management of the Jury System within their county. The Clerk prepares monthly financial reports, distributes fees collected to various state and local agencies and submits all statistical reports to the West Virginia Supreme Court of Appeals. Because the Clerk works with all the entities and agencies that comprise the justice system, communication and cooperation are essential. The Circuit Clerk′s Office provides procedural assistance and information to pro se litigants. NOTE: We cannot provide legal advice nor can we recommend an attorney. If you are unable to obtain counsel and have legal questions, you can call the State Bar help line at 1.800.642.3617. Or you can visit http://www.wvonlinelegalhelp.org/ West Virginia Online Legal Help is a website where low-income West Virginians can ask a volunteer attorney questions about a civil legal issue. It is a free service for West Virginia residents. 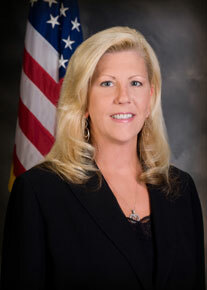 You may also access the Bureau for Child Support Enforcement on the web at: http://www.wvdhhr.org/bcse/. The WV Supreme Court of Appeals provides forms that can be purchased at the Circuit Clerk’s office or you can click on the Supreme Court of Appeals Forms link to download the forms at no charge. Name Change Packets are only available in the Clerk’s office/Criminal Division. NOTE: Some case types do not have forms available.